There are 12 cranial nerves. The vagus nerve is the longest of them, and some might say the most important. No matter what the issues are, your vagus nerve is critical to optimal health. Being the longest cranial nerve, the vagus nerve extends from the brainstem to the abdomen, passing through important organs like the heart, lungs, and esophagus. The vagus nerve contains motor and sensory fibers, and has the widest distribution in the body. The nerve commands unconscious body procedures like maintaining your heart rate and controlling digestion. What is vagus nerve disorder? Vagus nerve symptoms are closely related to vagus nerve damage and disorder. When your nerve is under-active, you might suffer from a condition known as “gastroparesis”. This condition can lead to severe complications like diabetes. There are several symptoms that are your warning signs. If you notice some of the symptoms, it means you need to stimulate the vagus nerve. There are two types of vagus nerve symptoms. They are classified in two groups, the first being when your vagus nerve is overactive. The second group is when your vagus nerve is inactive or underactive. The symptoms for the former group develop as a result of overstimulation of the nerve, while the symptoms for the second result from little to no stimulation. Often, the problem is that vagus nerve symptoms are very similar to IBS (irregular bowel syndrome) symptoms. And it makes it even harder for physicians to diagnose the condition since many of the conditions do not show up on regular testing (unless they get really bad). But in order for you to understand the condition, let’s take a look at some of the common symptoms of vagus nerve damage. Pain is the most common symptom. But you really need to understand the pain, where it happens, and how it manifests. In terms of your damaged vagus nerve, the pain is a result of a mechanical pressure, injury, or trauma that led to inflammatory swelling. In most cases, the pain is a result of a pinched nerve (when the nerve exits through tiny foramina in the skull). The pain you feel is flat and vague, not constant and sharp like someone is stabbing you. As mentioned at the beginning, the vagus nerve is the longest cranial nerve, and it passes through multiple vital organs. When the nerve is damaged, these organs cannot receive the signals and information your body is sending. Due to damage to nerve fibers, you’ll notice localized symptoms of organ dysfunction. That doesn’t mean that your organs will suddenly stop working, but some of them will work less. One of the main functions of the vagus nerve is to supply sensation to the muscles of the vocal cord. Any damage or disorder of your vagus nerve will result in damage to these muscles too. The damage interferes with the voice and breathing. Any other muscles that are supported by the vagus nerve will be affected as well. Although you might think that a low amount of electrolytes (like magnesium and potassium) is the cause of your muscle cramps, it might be that damage to your vagus nerve is the cause. As mentioned earlier, the vagus nerve starts at the brainstem and passes through your entire body. The nerve affects your gag reflex. In the same way that patients suffering from a head injury or stroke have trouble swallowing, patients with damage to the vagus nerve have difficulty swallowing. You’ll notice your gag reflex is impaired, and that might lead to choking while eating. General difficulty in swallowing is just the start. One of the more serious vagus nerve symptoms is fainting, which happens when your nerve is overactive and overstimulated. You experience sudden episodes of fainting and collapse. Although fainting on its own is not life threatening, fainting does increase the risk of accidental injuries. A peptic ulcer is another condition that might occur as a result of vagus nerve damage. The damage may impair the normal control mechanisms that are responsible for gastric acid secretion. 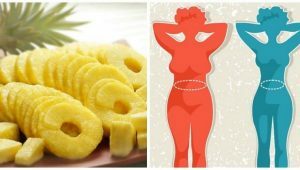 As a result, you might suffer from excessive secretion of peptic acid, which leads to ulceration and other gastro-related diseases and conditions (e.g., dyspepsia and gastro-esophageal reflux disease). I mentioned this condition at the beginning. And we are going to end the vagus nerve symptoms list with it. This condition occurs due to underactivity of the nerve. The result is interference in the blood supply to the stomach after ingestion of food. To put it simply, you suffer from improper digestion. 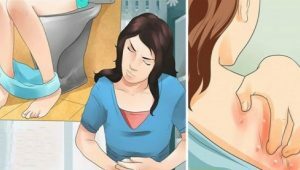 The symptoms you will feel are painful spasms in the abdominal area that might cause weight loss, nausea, and heartburn, and affect your normal food intake. If you start experiencing any of the symptoms, I recommend you start treating your disorder. Many of the treatments are also good for prevention of damage to the vagus nerve. The first, and most common, treatment is vagus nerve stimulation. When the damage is severe, you have to stimulate your vagus nerve with a device that’s very similar to the cardiac pacemaker, at least in terms of activity. This device is implanted beneath your skin. But you can stimulate your vagus nerve even before the disorder gets serious. Stimulation of the vagus nerve has shown positive results in conditions like anxiety disorders, heart diseases, OCD, migraines, obesity, bulimia, memory disorders, chronic heart failure, mood disorders, leaky gut, bad blood circulation, Alzheimer’s and much more. So now the question is: how can you stimulate the vagus nerve? Options include a cold shower, singing or chanting, meditation, yoga, positive social relationships, laughter, breathing exercises, fasting, massages, breathing deeply and slowly, tai chi, sleeping on your right side, praying, chewing gum, acupuncture, and tensing the stomach muscles. In the case of severe gastroparesis, medical experts suggest using a feeding tube to supply nutrients directly to the intestines and prevent malnutrition. Some medications are also employed. For fainting, for example, medical experts recommend use of medications to manage the fainting episodes. Some of the common choices include sertraline and paroxetine. I agree with a lot of the facts in this article. My grandmother has been having spasms for about a year now, and she has most of the symptoms listed above as well. This will help a lot with treating them. Thank you so much. I agree with a lot of the facts because my grandma has spasms and has a lot of the same symptoms. Excellent information. I have been suffering from these symptoms for a long time. This article give me hope of having a successful conversation with my doctor. Since 1970, I’ve had gut problems, manifesting early as flu-like symptoms. In 2001 I became much worse and was diagnosed with Giardia, tho with out any lab work. I took antibiotics, a week on and a week off, for over 2 years while doctor after doctor said they were sure it was Giardia. In 2003, I was finally diagnosed with H. plyori and given proper treatment. I was fine for a year, then the bottom dropped out. In 2997, I started feinting about 20 minutes after eating breakfast. I’d be out for 3-5 hours every day. Lunch and dinner would produce sleepiness. Diagnosed with IBS, I eventually had a neurologist opine that I had a vagas nerve problem; however, she had no idea what to do. After a couple of years using different supplements and acupuncture. I got better, but two years ago it came back, though no more feinting. Now, when ever I eat I get so sleepy that I have to go to bed. It was nice to find your article. Now that I know there is testing and treatment possible, I will have a different conversation with my doctor.